If you cancell your reservation within 48 hours, you don&#39;t have to pay, if not you have to pay the first night. 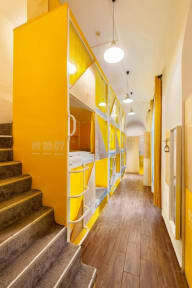 The Adagio Hostel is in the centre of Budapest. It is located in the heart of the city near the Oktogon square in the 6th district. Come and stay at the best and cosiest hostel in town, where you can feel completely at home! What can we offer our visitors? 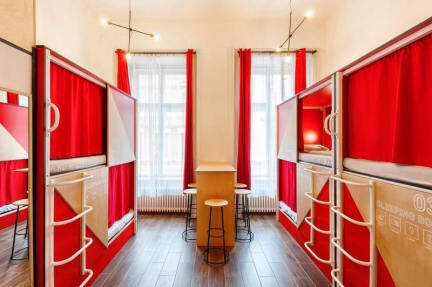 Homely atmospheres, affordable prices, free luggage storage, individual security lockers, and comfortable beds, all served by a friendly and helpful staff. Location: The location and the public transportation are excellent. We are located in the heart of the city. Just a 2 minute walk from the yellow line metro station at Oktogon, near to the international railway stations (Keleti railway station - 10 minutes, Nyugati railway station - 5 minutes). There are a lot of entertainment facilities in our neighborhood. Pubs, clubs, restaurants, cinemas, theatres and shops are near at hand!